I started doing T’ai Chi Ch’uan long before I retired — nearly 20 years ago. At the time, T’ai Chi was the flavor of the month. These days it’s fallen behind Yoga and Zumba classes. But just because you take an exercise class, doesn’t mean you can’t do T’ai Chi as well. Fifteen years ago I began teaching T’ai Chi in Senior Centers and Hospitals with Senior Programs. At one center, many of my students were taking the class from a previous teacher, who left. Although I no longer teach, I recently dropped into that center to visit with my replacement teacher. Quite a few of the original students are still taking the class. These people are now well into their 80’s (or older)! I think that says a lot about the potential benefits of T’ai Chi. So Just What is T’ai Chi Anyway? T’ai Chi Ch’uan is the softest of the martial arts. It literally means “Supreme Ultimate Fist” in Chinese. In addition to being a martial art, it’s also a walking meditation. As with all meditations, it’s known to reduce stress, promote proper breathing, provides relaxation and gives one a sense of well-being. T’ai Chi originated in China millennia ago. Over the past few hundred years, many different families devised their own forms . Today the Yang form is the most popular (and the one I practice), but there is also Chen and Wu and many others. Where Can I Learn T’ai Chi? If you don’t have a class at a nearby Senior Center, try the YMCA, local Parks and Recreation Centers, Hospital programs, Community Colleges, even a local Church and/or Synagogue. Although T’ai Chi is a martial art, I don’t recommend starting classes at a Dojo or martial arts studio — at least not to begin with. They are typically too expensive and are more interested in the hard martial arts. Many advanced T’ai Chi teachers (know as Masters) run Academies. Typically these Masters have learned T’ai Chi from their families. Their ancestors were either the originator of their form or the senior students of the original Master. Learning from a T’ai Chi Master is a great way learn. The downside is that it can be pricy. Master classes are customarily more formal and have dress codes. If you see a T’ai Chi Academy near you, don’t be afraid to check it out. Not all are exclusively for advanced students, have strict rules or are even expensive. Before you join a class, go and watch. Talk to the teacher and the students. 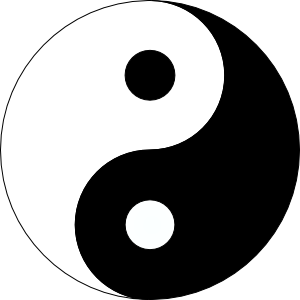 NOTE: If you find T’ai Chi confusing, difficult or you just don’t like it, try to give it another chance with a different teacher. As stated above, there are many different types of T’ai Chi, so it’s possible one of them may “speak” to you more than another. The following are links to people I know and have taken their classes. If you’re in the Burbank, Pasadena or Northridge areas of Los Angeles; for teachers DeDe Nardini and Iren Jenson go to their Facebook page; T’ai Chi Ch’uan of Burbank. This entry was posted in Health, Hobbies and tagged boomers, exercise, Health, Tai Chi. Bookmark the permalink.